School: It's frustrating, it's boring, it's embarrassing. But it's also thought provoking, challenging and full of possible friends. And until you turn 18, like it or not, it's just about your whole life. 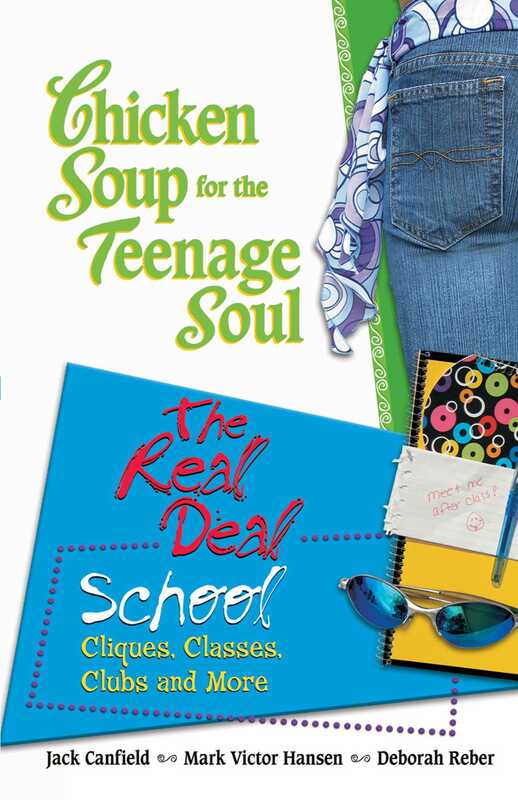 Chicken Soup for the Soul knows that school is more than classes and tests. It's also a social scene, filled with cliques, clubs and life-changing decisions (or so it seems this week). It's where you meet your best friends…and run into your worst enemies. And it’s an opportunity to figure out what you want to do—whether it's kick a soccer ball, play the trombone or act in a play. Sometimes it's overwhelming and confusing, but don't worry, it's like that for everyone. That's what the stories in this book are all about. They’re from real teens, and they're about the bizarre, embarrassing and sometimes triumphant things that really happened to them. And they’re here to give you some perspective on everything that goes down at your school...and outside of it, too. Put that together with weird facts, cool graphics, fun advice and quizzes designed to help you figure out who you are and what you're up to, and you've got the real deal on school—full of all the laughter, tears and daily drama that life is all about.